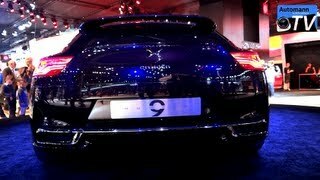 After two years since the Citroen DS line hit the automotive market, the French automaker intends on launching the DS3, DS4 and DS5 in China, one of the largest automotive markets in the world. 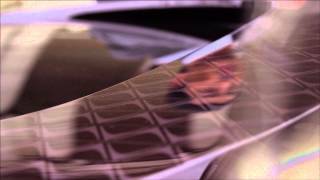 In celebration of the DS line coming to China, Citroen intends on revealing the Citroen Numero 9 2012 at the Beijing Auto Show. On short, the Numero 9 is a concept car that manages to turn the heads of every gearhead around the world. 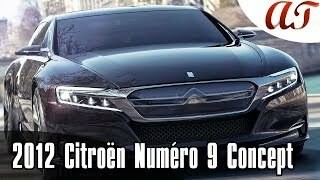 The Citroen Numero 9 Concept has been built with all the DS cars in mind, thus borrowing design elements from the DS3, DS4 as well as the DS5. The exterior of the Numero 9 offers a futuristic look and by the looks of it, a pretty long wheelbase which will definitely be appreciated on the Chinese automotive market. On short, the exterior of the car looks astonishing and offers a high-tech look due to slick lines, LED headlights, a sculpted grille and a glass sunroof. However, the Citroen Numero 9 Concept is even more astonishing when we look at the performances. The Numero 9 is basically a hybrid car that sports a 1.6 liter turbocharged engine developing 225 horsepower, coupled with an electric motor developing 70 horse power. Interestingly enough, the electric motor has been fitted at the rear axle, turning theNumero 9 Concept into an all-wheel drive hybrid, a concept seen very rarely in this particular automotive segment. Performance wise the Citroen Numero 9 Concept 2012 is supposedly able to accelerate from 0 to 60 mph in just under 5.4 seconds, but when it comes to fuel efficiency the lithium-ion battery can deliver a full electric range of 31 mpg, resulting in an overall fuel consumption of 138 mpg and 39 g/km of CO2 emissions. If this turns out to be true then the results are quite astonishing and I'm glad to see that someone had the courage of challenging the Toyota FT-Bh Concept when it comes to fuel efficiency, while at the same time delivering higher performances, and most importantly, better looks by a mile away. Obviously no information on when Citroen intends to send the Citroen Numero 9 into mass production have been revealed, but I personally look forward to see this particular concept making it on the automotive market. It's quite exciting to see the Hybrid market striving to deliver such good looking cars while retaining the idea of high performances at the same time.